Titletown Five will break from post position #9 with 5/1 odds in the Cliff’s Edge Derby Trial Stakes on Saturday April 27, 2013. The Cliff’s Edge Derby Trial Stakes kicks off the season at Churchill Downs and is the feature race of opening night on Saturday April 27, 2013. The 1 mile Trial Stakes is the last Derby Prep Race and will award the winner $750,000 and the final 20 Kentucky Derby Leaderboard points. The 2013 Cliff’s Edge Derby Trial Stakes hosts nine three-year-olds including two from Todd Pletcher’s barn and two from D. Wayne Lukas’s barn. Everyone likes favorite Forty Tales, with 3/1 odds, who is one of Todd Pletcher’s horses. 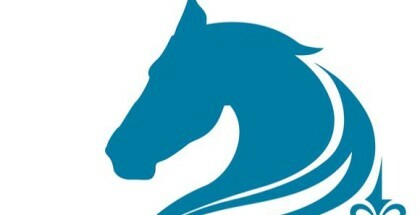 Rosie Napravnik will have the mount on Forty Tales. I’m no expert but I like D. Wayne Lukas’s Titletown Five. Gary Stevens will break from post position #9 aboard Titletown Five with 5/1 odds. I have a good feeling about Titletown Five, although experts predict he will burn out towards the end of the race. 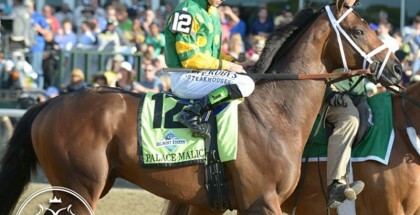 None of the contenders in Saturday’s Derby Trial Stakes are aiming at the 2013 Kentucky Derby, except Titletown Five. He actually could be this year’s “Cinderella” horse if he wins this race! 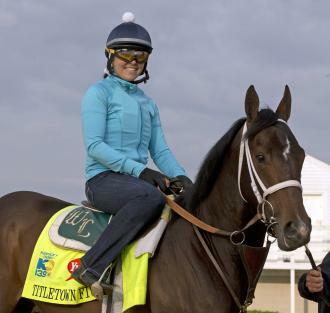 Titletown Five would need something dramatic to happen between now and Wednesday, when the Kentucky Derby entries are submitted, but stranger things have happened during the final week leading up to the Derby! Lady and The Track would like to wish all of the contenders in the 2013 Cliff’s Edge Derby Trial Stakes the best of luck! Good Luck! Safe Run! The 2013 Cliff’s Edge Trial Stakes will be the 10th race of the day with post time of 10:42 PM EDT! Yep, that’s right! 10:42 PM!